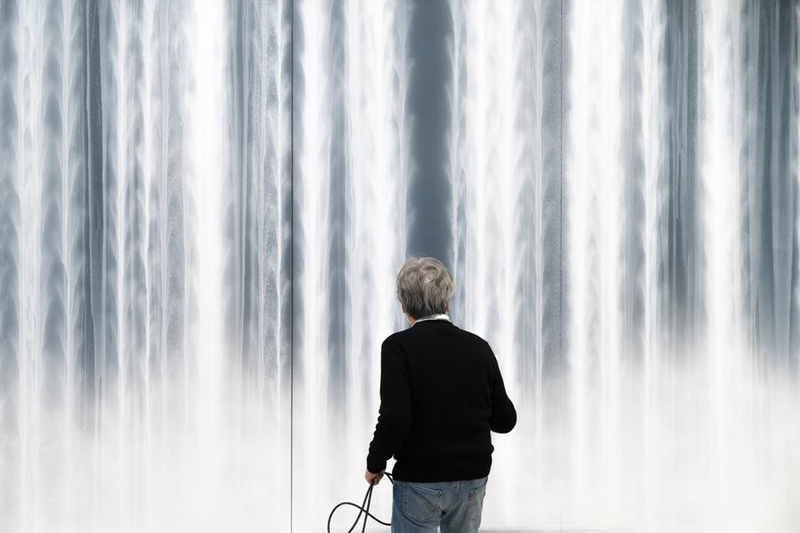 Hiroshi Senju is a Japanese painter known for his large scale waterfall paintings. He’s considered to be one of the experts of nihonga painting. Nihonga painting is an art form which uses various traditional Japanese techniques and materials such as creating monochrome or polychrome paintings with a gradient-like effect on washi (japanese paper) or eginu (silk). 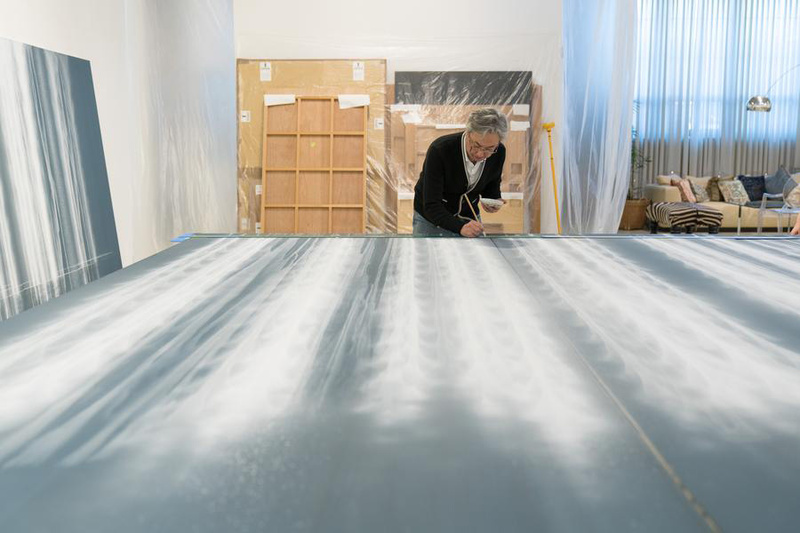 Hiroshi Senju’s signature style shows movement and scale of waterfalls in motion. 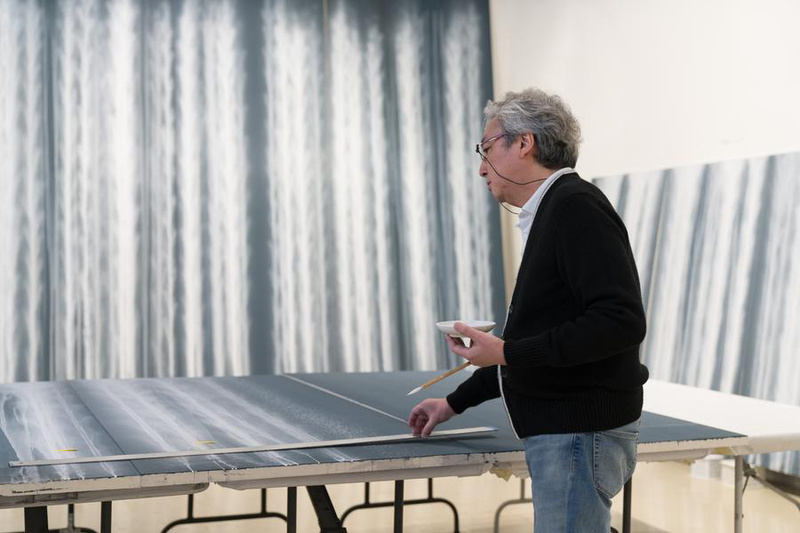 For his art pieces, Hiroshi Senju uses washi paper and natural dyes. 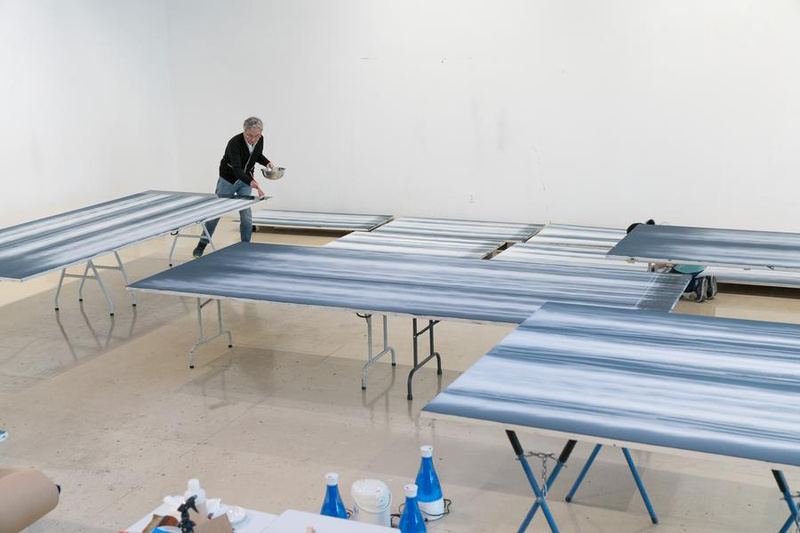 “I use water and gravity and paint waterfalls,” he describes. He is considered to be one of the few well-known experts of this ancient Japanese style. SANAA. a museum in Karuizawa, Nagano prefecture dedicated part of the it’s institution to the artist utilizing the natural components of the site as a backdrop to his art pieces. 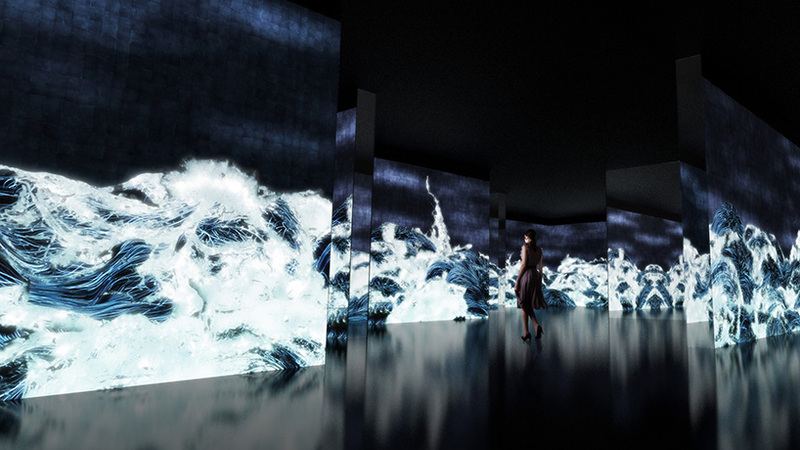 In Osaka, an immersive digital installation created by art collective Teamlab of Hiroshi Senju’s exhibition titled “Waterness,” will be on display bringing his ocean waves to life this year. Additionally, an exhibition at the Toyama Prefectural Museum of Art and Design commemorating the artwork he did for the rebuilt Kongobuji Buddhist temple. 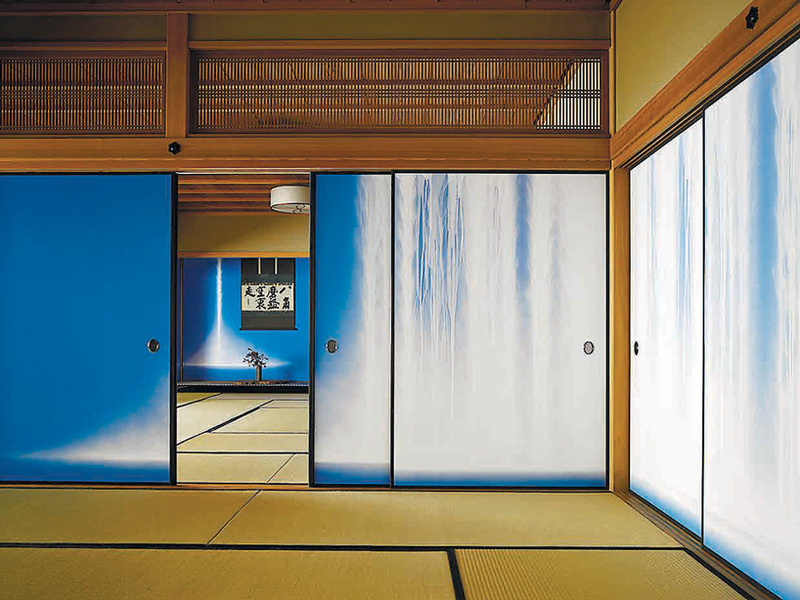 His paintings beautified the sliding doors throughout the temple.